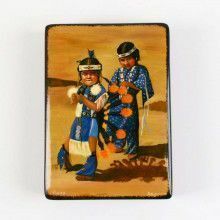 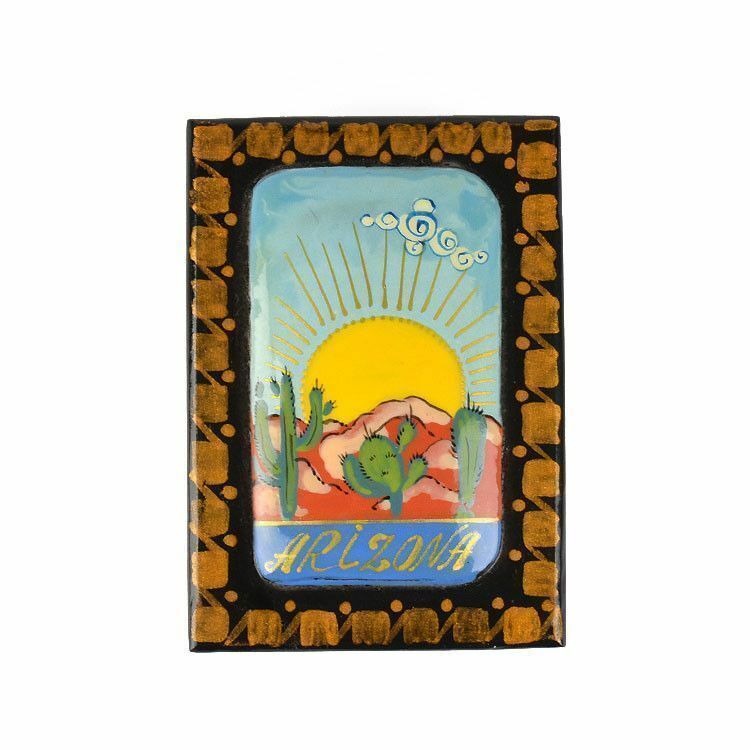 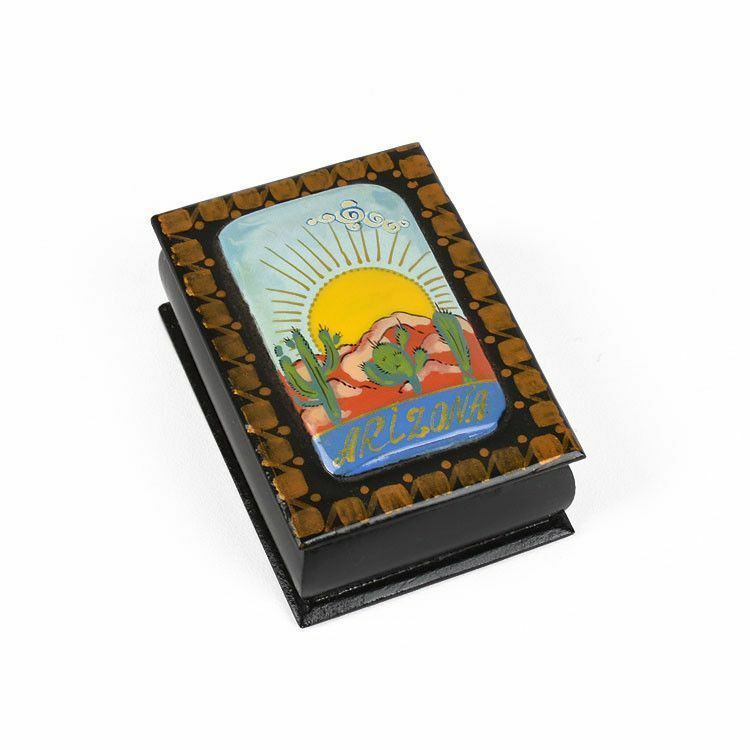 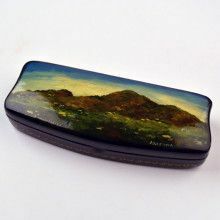 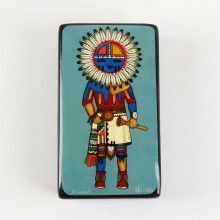 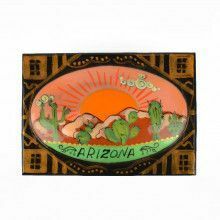 This little lacquered box feature an Arizona painting. 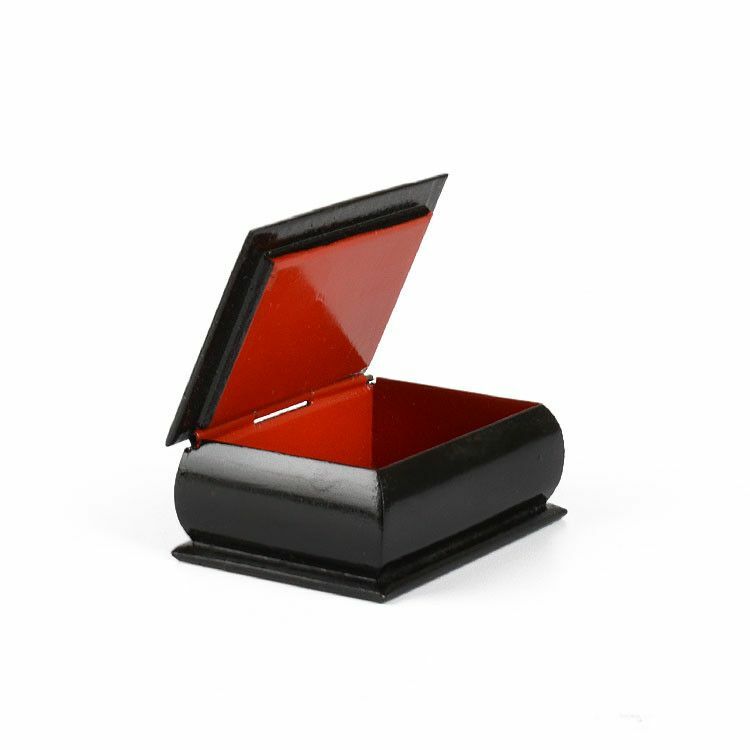 The 2 3/4" long, 2" wide, 1 1/4" tall box is ideal for keeping jewelry in, or other small items. 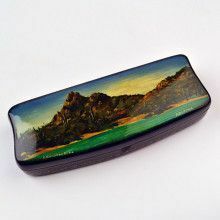 It was made in Russia using their traditional techniques of paper-mache lacquer boxes.